Whoever said. “History has a way of repeating itself” was a very wise man. Once again in the beginning of the 21st century Hemel Hempstead is losing its heart and having another transplant. I miss the town centre of the 1960’s the most (pre Marlowes centre). On Thursdays I would walk into the town from Boxmoor with the children in tow and a pram to push. 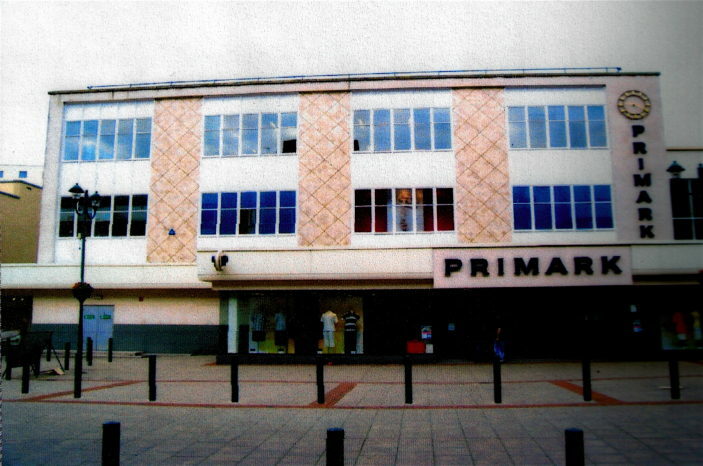 The Co-op Department Store (Quality House) was the best shop at the end of the town, and was the best to browse in. You could dress yourself, the husband, children and babies at a reasonable price. Your house could be furnished from the furniture department and you could buy sheets, blankets, pillows etc. from the household goods department. Saucepans, tea towels, tea sets, dinner-sets and of course cutlery and glasses were also available. All this was spread over four floors and there was a restaurant on the 2nd floor to rest one’s feet and admire the water gardens. On the top floor you could order coal and get your dividend book made up. Not only was the Co-op a shop, but also the assistants knew you and had worked for the store for many years. If the items you required were not available they would be ordered and you could collect them the following week. The restaurant was the equivalent of today’s “mothers coffee morning”. It was somewhere to meet friends over a cuppa and discuss “world affairs”! You could park the pram outside in the entrance porch. The building still stands but has not been a Co-op for many years. No other store can ever replace the ambience of the Co-op, the store of bygone days and so sadly missed. I worked Saturdays at the Coop before going to University. Mr Berry, Deputy Manager when I started, took a keen interest and wanted me to stay and train as a future Manager, I declined. Mr Munday was my real boss. A wonderful, kind man who ran the decorating department at the side of the store. He even employed me in winter. His sons were great Watford supporters. All the staff were kind and really helped their customers.